The act, passed by the Legislature in 2012, authorizes county boards to adopt and carry out coordinated management programs to control black-tailed prairie dog colonies on property within the county. The law requires a landowner to effectively manage prairie dog colonies on his or her property to prevent them from expanding to adjacent property if the owner objects to the expansion. If a landowner does not provide evidence that a colony is being managed within 60 days of a county board’s notice, the county may enter upon the property to manage the prairie dogs. The landowner would be responsible for any expenses, and unpaid assessments would become a lien on the property. Landowners who do not comply also could receive a fine of up to $1,500. The law allows a county to file a foreclosure suit to recover the debt. 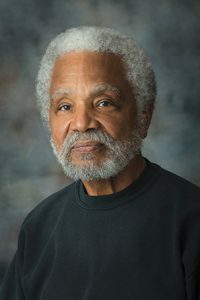 Omaha Sen. Ernie Chambers, sponsor of LB449, said the act violates property owners’ rights by allowing government agents to come onto their land without notice when a neighbor makes an unverified complaint about prairie dogs on the property. “People can come onto your property, they can damage it, they can spread poison—without any court involvement, without giving you notice,” he said. Sen. Laura Ebke of Crete supported the bill. Whether prairie dogs are a nuisance or not, she said, landowners do not have the right to tell others that they cannot have prairie dogs on their property. North Platte Sen. Mike Groene also supported the bill. He said current law allows landowners to seek help from the Animal and Plant Health Inspection Service of the U.S. Department of Agriculture to control prairie dogs and other nuisance animals. 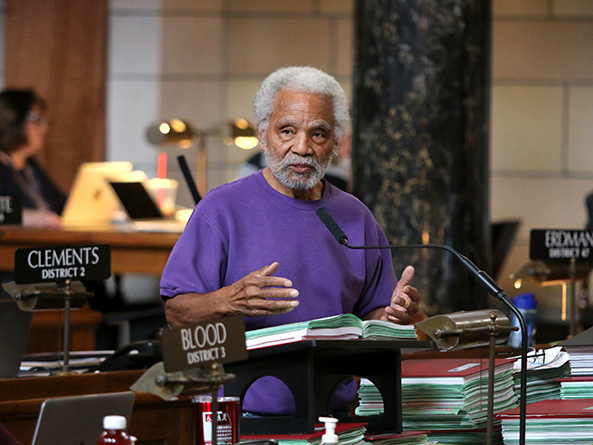 Groene agreed that the current law infringes on Nebraskans’ privacy, property and due process rights. Sen. Tyson Larson of O’Neill opposed repealing the current law. Government’s role, he said, should be to protect individuals—and their property rights—from other individuals. “By not having something like [the current law], you are allowing another individual’s decisions to blatantly harm my property and my property rights,” Larson said. Sen. Dan Hughes of Venango also opposed the bill. He said the current law has never been used, but its existence forces landowners to settle disputes about unmanaged prairie dog colonies. Senators voted 25-9 to advance the bill to select file.